We are interested in answering fundamental questions about mechanisms underlying the tissue and organ formation. 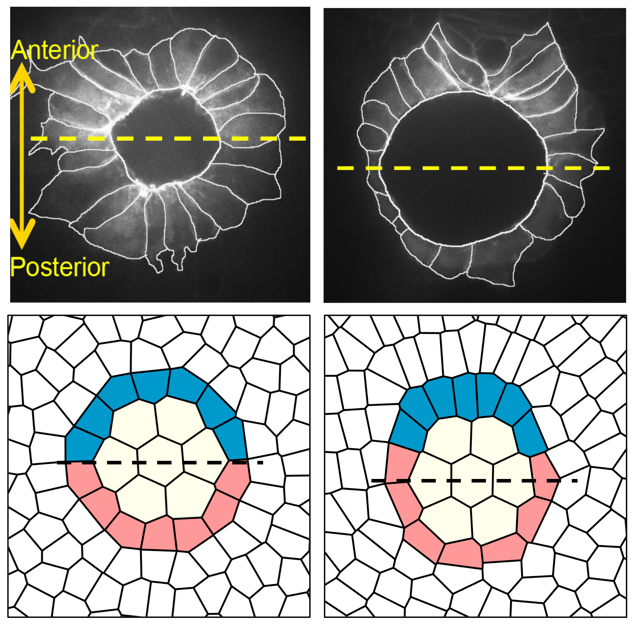 During embryonic development individual cells actively change their shapes to generate emergent macroscopic patterns which are critical for the formation of organs. As a model system we use Kupffer’s vesicle (KV), organ of asymmetry in the zebrafish embryo, to identify mechanical forces and biochemical signaling pathways that generate programmed shape changes. We are collaborating with Amack group and currently we seek to understand how the mechanical properties of highly dynamic cells surrounding the KV influence the cell shapes and left-right asymmetries. Manning group participants: Gonca Erdemci-Tandogan, Matthias Merkel.